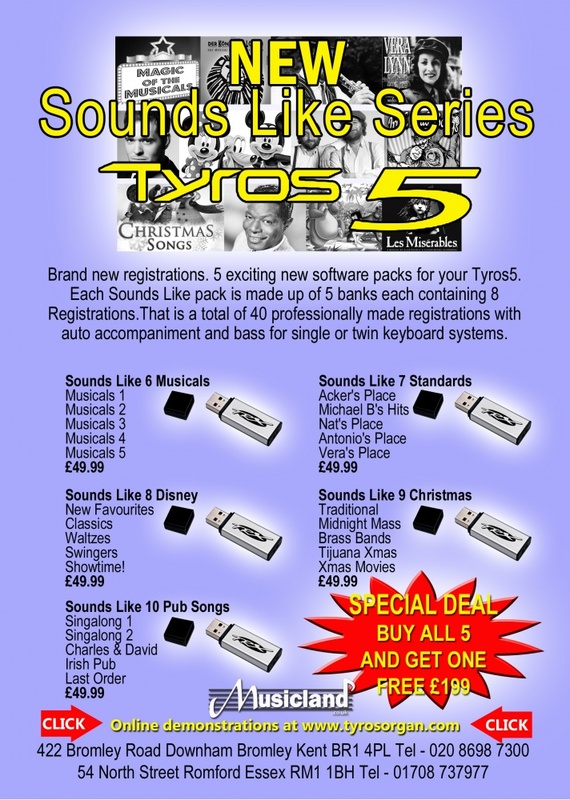 5 exciting new software packs for Tyros-5. Each Sounds Like pack is made up of 5 banks each containing 8 Registrations. That is a total of 40 professionally made registrations with auto accompaniment and bass for single or twin keyboard systems. £49.99 each or buy 5 for the price 4 ! !Get one pack FREE!! Musicals 4: 1-4 Don't Cry For Me Argentina 5-8 Can You Feel The Love Tonight?